How to Make an Embroidered Patch on the Barudan Elite - MakerFX Wiki! 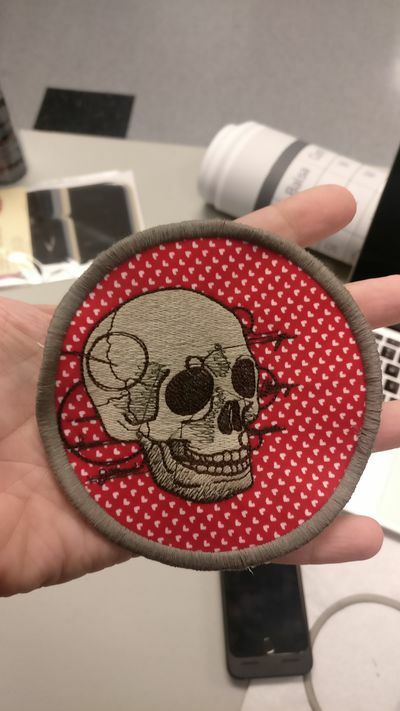 You can make awesome patches at MakerFX! Patches are awesome. 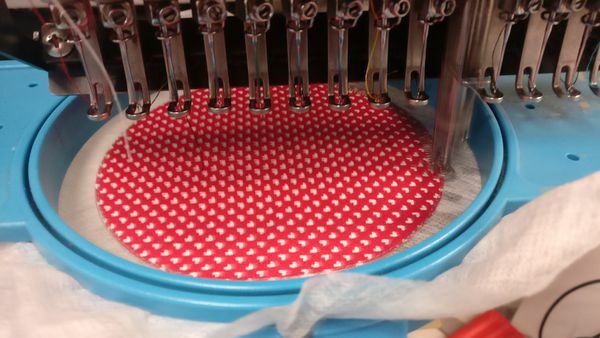 This guide will help you learn how to make patches on the MakerFX Barudan Elite embroidery machine, but this process is the same even for other types of embroidery machines. NOTE: This tutorial assumes you already know how to load thread, load a file, set the origin, etc. 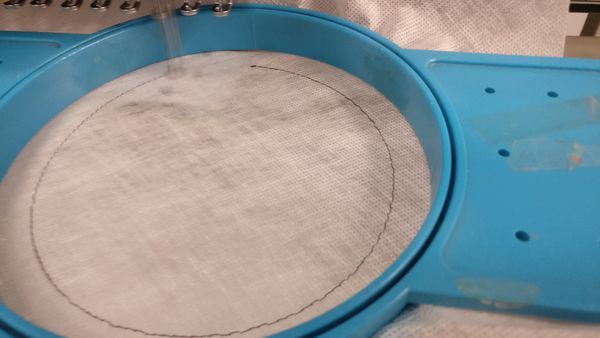 You can get started by embroidering the design on a piece of stabilizer first to ensure that it works well before going through the full patch process. This guide was written by Ian Cole, feel free to ask questions or ask for a 1:1 to get started! Check out the Learning Resources at the bottom of this guide to see some step-by-step overviews on different websites. There are a LOT of variations on how to do this process, so it can get a bit overwhelming. I'll show you here what worked well for me on our Barudan machine. 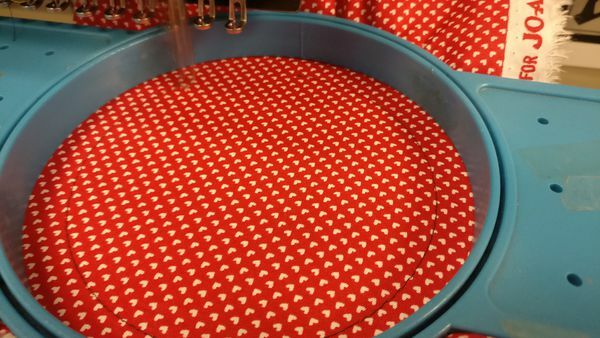 Border Color bobbin (optional) - you can use a border color bobbin when doing the border. 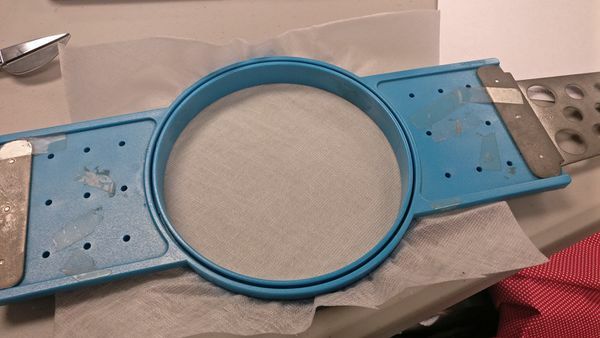 This isn't required, but adds a pro level of finish. There are a few different ways to approach patch making. 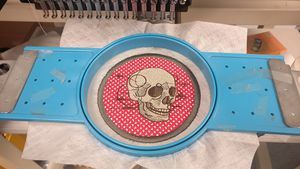 You can take an existing embroidery design and a separate applique / patch border and use them together, OR you can design a custom patch file. 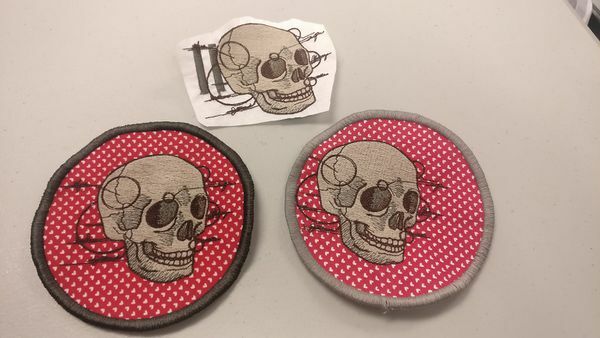 You need a "dieline" which is a single perimeter stitch for placement, a zig-zag tack down stitch (optional, but recommended), the patch edge border, and the main design for the patch. For this tutorial, I used two designs from Urban Threads. I purchased the designs, downloaded the .dst files, downloaded the thread list pdf (example), then selected matching threads using the Madeira online rayon thread color guide (since Urban Threads specifies their colors using Madeira thread. I was able to put the .dst files straight onto the floppy disk and load into the Barudan without using any embroidery software. 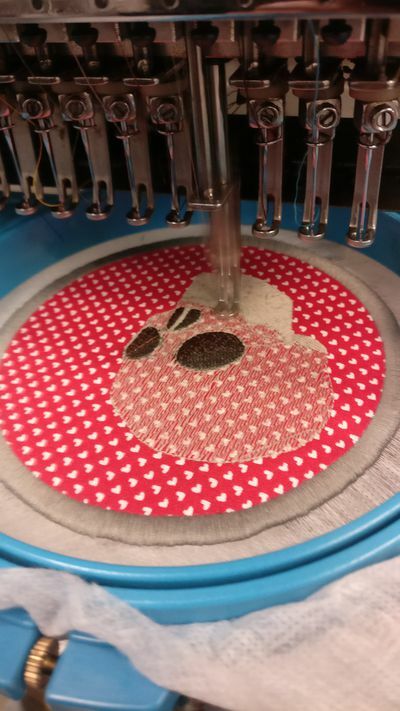 Note that Urban Designs sells different sizes of their designs which have different levels of detail - while scaling is possible on the machine, these more complicated designs will look much better if you buy the size that is closest to what you want to embroider. Embroider the border, then the center art - Note that PROs use a border color bobbin when doing the border. 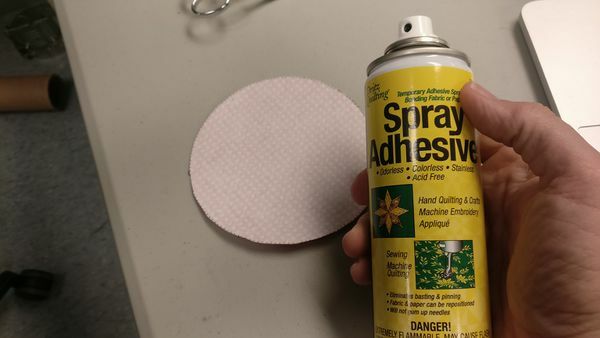 This isn't required, but adds a pro level of finish. 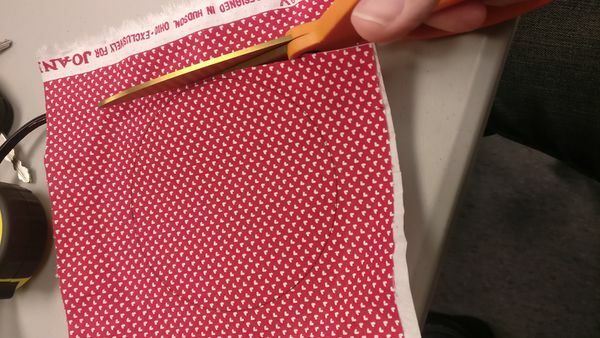 Clean up any extra threads / jump stitches, etc. This page was last edited on 18 February 2018, at 10:03.